Address: 2, Zlatiu Boiadjiev Str. 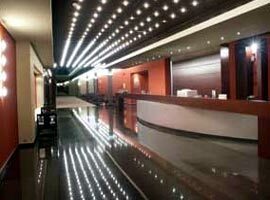 A member of Accor hotel chain, Novotel Plovdiv is one of the best, super luxury hotels of Plovdiv. 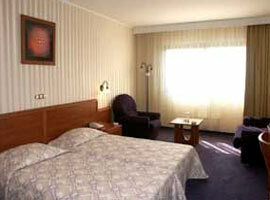 Centrally located the hotel offers high class facilities for rest, business, and sports. The hotel is fully air-conditioned. 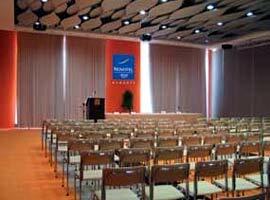 Novotel Plovdiv offers total of 315 rooms, 8 apartments and 1 Presidential apartments. 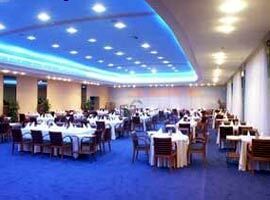 The rooms and apartments of Novotel Plovdiv are furnished and maintained to the highest hotel standards. 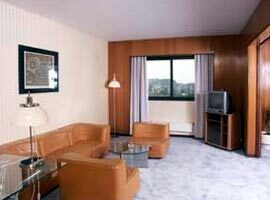 Room and apartment facilities include: air conditioning and complete soundproofing, Mini bar, Radio, Color TV with satellite programs. Direct dial phone with a socket for Internet connection. Luxurious bathroom with a separate toilet. 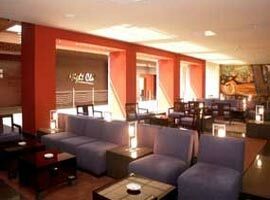 - Bendida – 150 seats, luxury, first-class cooking, excellent service. Fast transformation from an excellent place for personal appointments to an exquisite banqueting room and a splendid cocktail or party hall. - Flambé restaurant Evridika - offers 60 seats in a cozy atmosphere, candlelight with silverware and crystal, live piano performance. 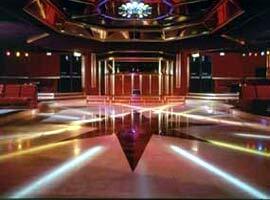 - Orpheus night-club – lights and music, best quality beverages, first-class program.